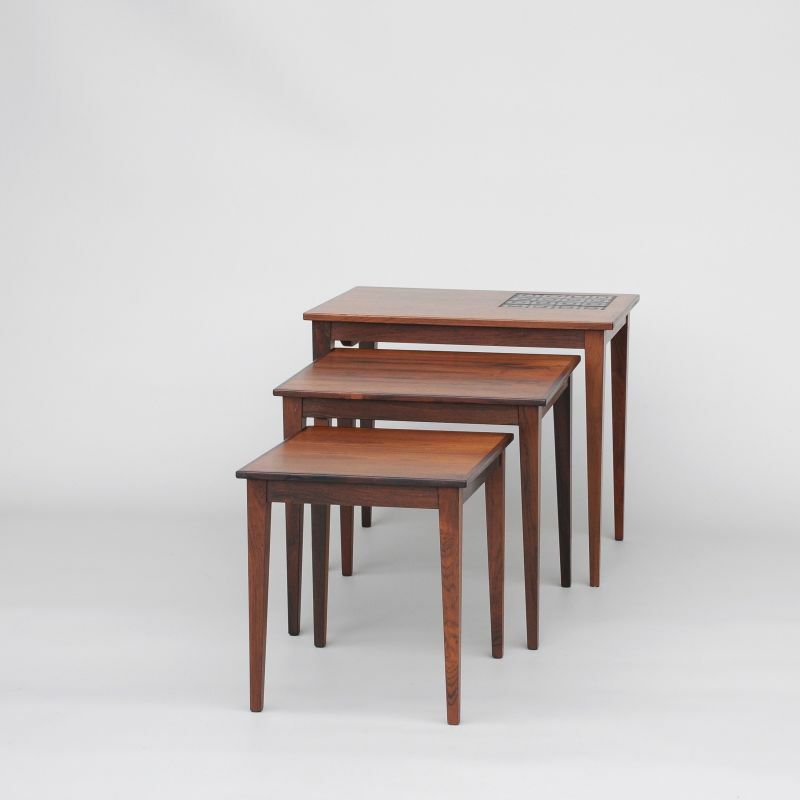 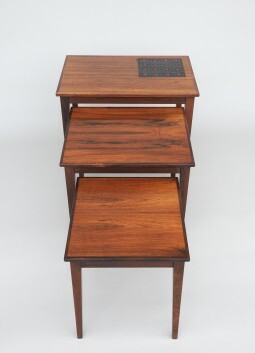 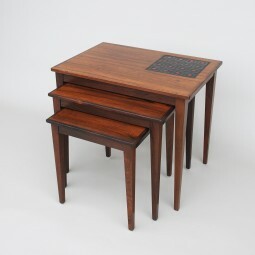 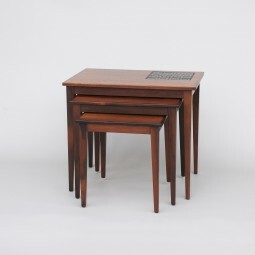 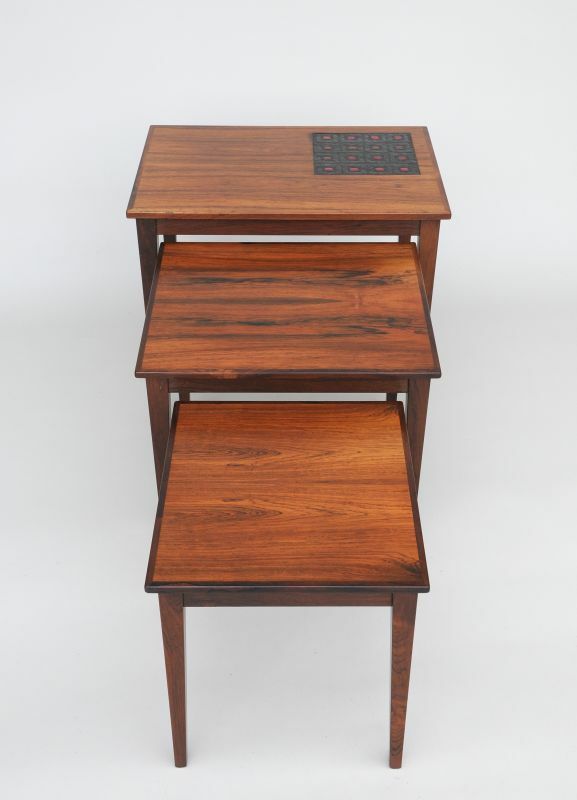 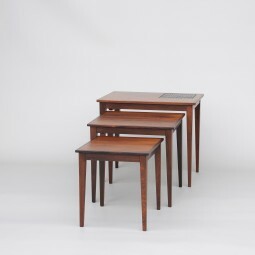 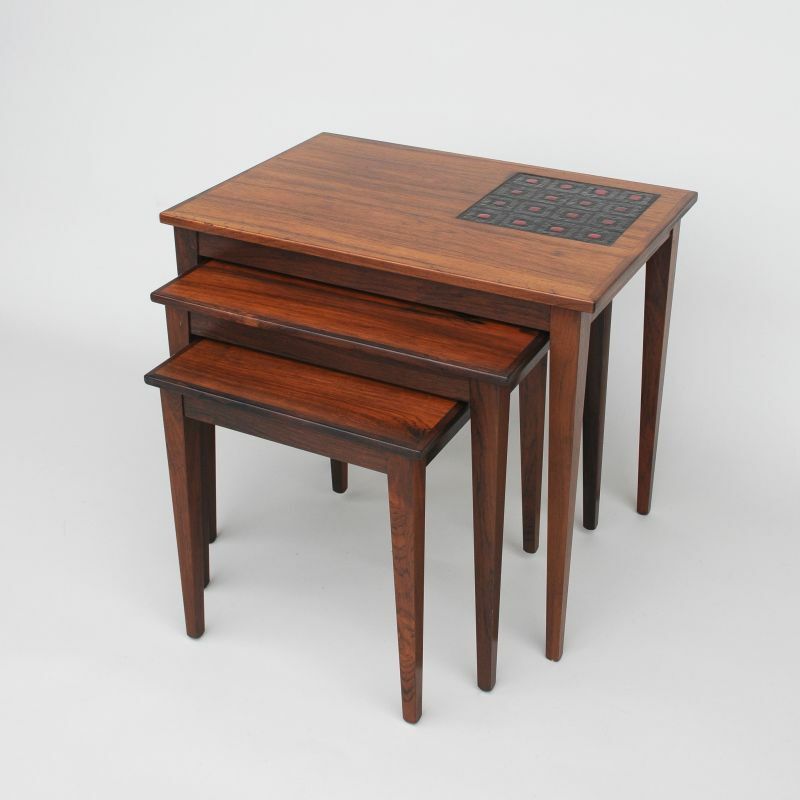 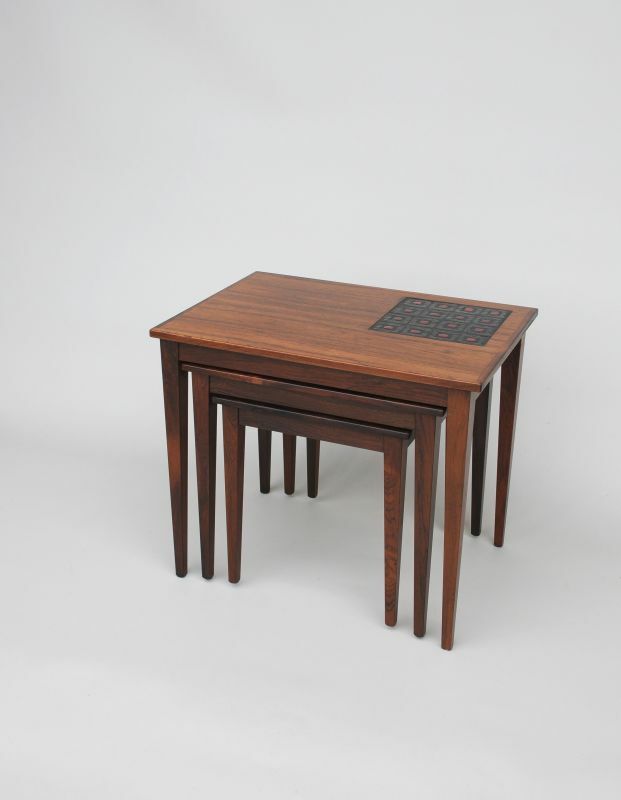 A very attractive and useful nest of tables from Denmark. 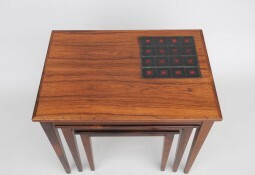 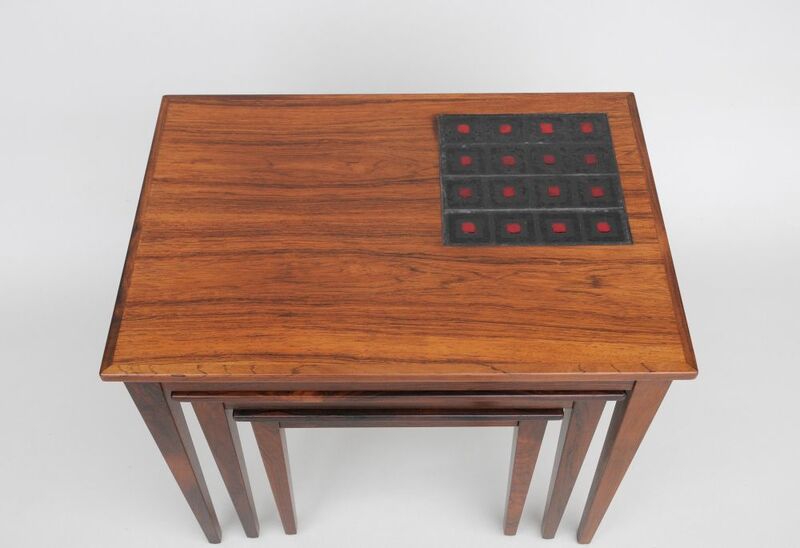 Constructed in solid and veneers of rosewood, featuring a decoration of tiles in restrained colours of red and greys. The measurements are 59 cm wide, 40 cm deep and 50 cm high.